Oh hi! It's another Monday. 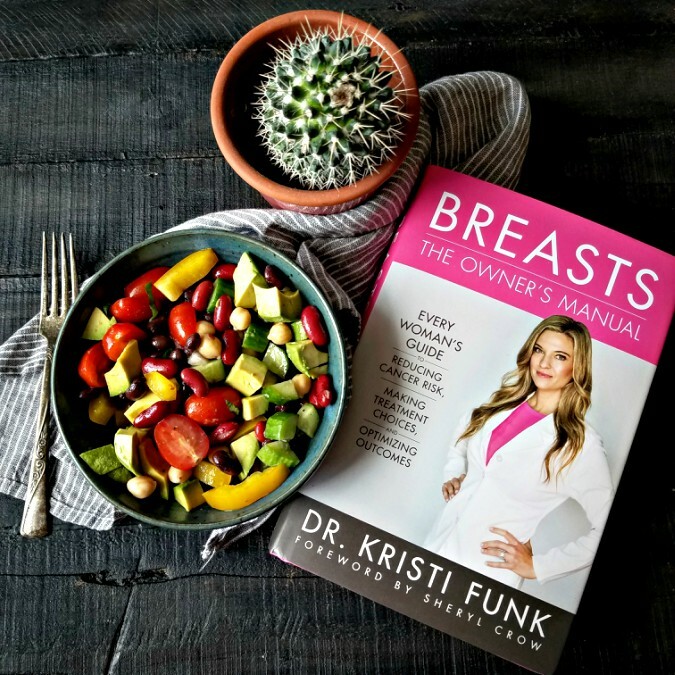 A few weeks ago my friends from Meatless Monday offered to send me a copy of Dr. Kristi Funk's Breasts: The Owner's Manual book and another one to give away to my readers. Readers...are you out there? I'm hosting a giveaway on my instagram only, so head over there for a chance to win the book! I've not read the book yet, but one of the things Kristi advocates is reducing meat, and so over the weekend I made Kristi's Three Beans Walk Into A Salad...recipe and will be having leftovers for lunch. 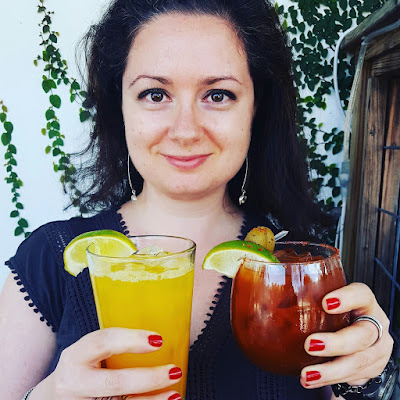 This recipe is incredibly easy, can be customized with addition of other ingredients you like, and will be perfect for a picnic! Combine beans, veggies and avocado and toss gently. Add oregano, then toss, add chickpea liquid, then red wine vinegar and salt and pepper to taste. Tip: Chill the beans before making this if you are planning to eat it right away. Or you can make it (minus the avocado), chill for an hour, then add the avocado right before serving. NOTES: I added one diced yellow pepper, a quarter of a chopped onion, and fresh basil. I chose not to add oregano because it's not my favorite. I was surprised I did not miss having olive oil in this salad. Disclaimer: I was provided a copy of the book, but am not compensated for this post.